A dedicated solution is a single computer server in a network which is reserved for serving the needs of the network. With dedicated hosting, a client rents a server from a hosting provider and has exclusive use of that server’s resources. And you can choose your desired operating system in the dedicated service that is Linux or Windows. Mod HTTP2 is the updated version of the HTTP communications protocol used by most of the web. 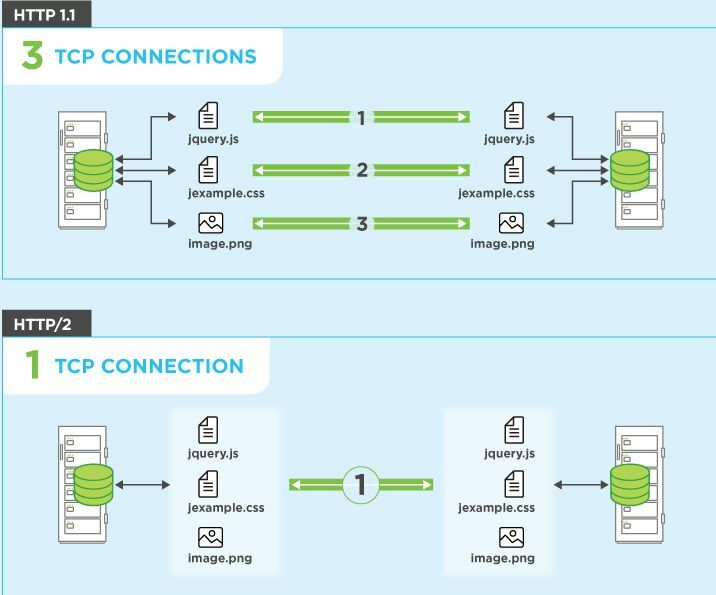 HTTP/2 has several benefits over HTTP/1.1, including the ability for browsers to accept more content from a website’s server at once, which improves website performance. It has capacity to send multiple requests for data in parallel over a single TCP connection. This is the most advanced feature of the HTTP/2 protocol because it allows you to download web files via ASync mode from one server. Most of the modern browsers limit the TCP connections to one server. It allows servers to “push” responses proactively into client caches instead of waiting for an new request for each resource. It make use of header compression HPACK to reduce overhead. Domain sharding and asset concatenation are no longer needed with HTTP/2. It uses the new ALPN extension which allows for faster encrypted connections since the application protocol is determined during the initial connection. Now you need to go to Mod HTTP2 Module which is present under Server Admin section. If already it is enabled you can see it on the below portion or else you need to enable it by selecting the appropriate domains from drop down and click on Enable HTTP2. 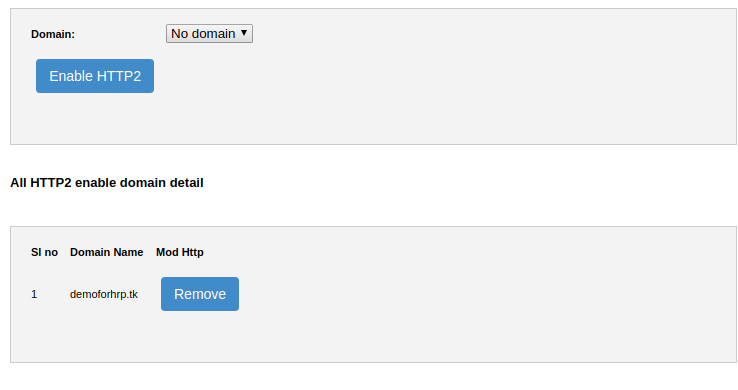 It is also possible to remove it for particular domain name by clicking on remove button. Note: For enabling HTTP2 for your domain the domain must have SSL installed if not install SSL certificate for your domain then enable the mod http2.